In the first issue of “humanity” Jan Eckel, historian at the University of Freiburg, wrote an essay review on Roland’s book and the German version of my book “Menschenrechte im Schatten kolonialer Gewalt” (https://www.oldenbourg-verlag.de/wissenschaftsverlag/menschenrechte-im-schatten-kolonialer-gewalt/9783486588842), in which he raised some interesting questions. On the journal’s blog Roland and I used the opportunity to respond to Jan’s essay review and we started a fruitful discussion on the topic of “human rights and decolonization”. 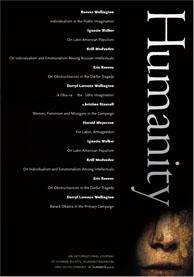 Jan’s essay review at: (http://www.humanityjournal.org/humanity-volume-1-issue-1/human-rights-and-decolonization-new-perspectives-and-open-questions). This entry was posted in Actualités / News, Articles, Books, Reviews and tagged Decolonization, Human Rights, Wars of Independence by Fabian Klose. Bookmark the permalink.